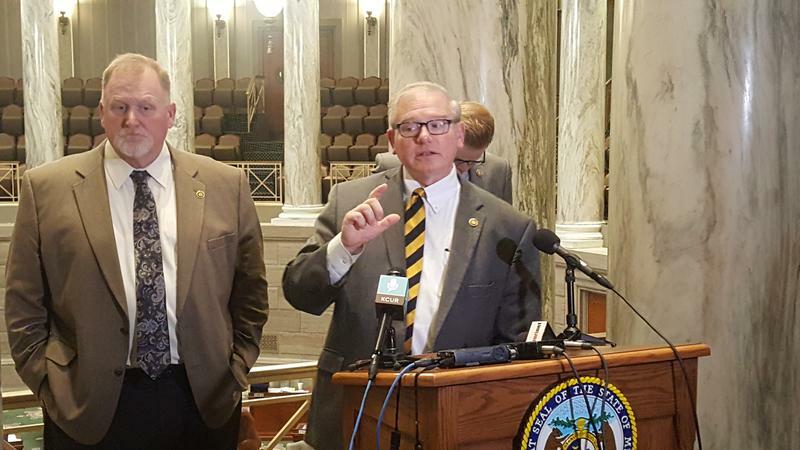 The Missouri House and Senate have approved their versions of the $29 billion budget for the 2019-20 fiscal year. But there’s still work to be done ahead of the May 10 deadline to get it to Gov. Mike Parson’s desk, namely by the conference committee that’ll figure out how to square everyone’s desires. The chances of being murdered in East St. Louis are 19 times greater than the national average. Yet only 25% of the murders are charged in criminal court, compared to a national average of 60%. The winners of the third-annual stARTup Creative Competition are St. Louis-based Black Tulip Chorale and the EBT Culture Card, a yet-to-be-launched initiative to make discounts to arts organizations available to St. Louis and St. Louis County residents who receive government food assistance. The winning organizations will each receive $10,000, a year of work space in Arts and Education Council’s arts incubator at the Centene Center for the Arts in Grand Center, and other logistical support. Saturday is Independent Bookstore Day, and many of the bookstores in the St. Louis region and beyond are going all out for the celebration of an industry that is much more than business. On Thursday’s St. Louis on the Air, St. Louis Public Radio’s Jonathan Ahl discussed this year’s highlights with several store owners and managers who also provided reading recommendations to listeners. Joining the conversation were Holland Saltsman, owner of the Novel Neighbor in Webster Groves; Kelly Von Plonski, owner of Subterranean Books in University City; and Renee Woodley, manager of Rolla Books and Toys. The difficulties facing migrant communities at the U.S.-Mexico border have been on the mind of Webster University nursing faculty member Mary Ann Drake ever since last summer, when she first began hearing about children being separated from their parents. She felt compelled to do something to help, and soon she got her colleagues Silvia Navia, a professor in the Department of International Languages, and Anne Geraghty-Rathert, from the Department of Legal Studies, involved too. This article originally appeared in the Belleville News-Democrat. The courtyard at the Roosevelt Homes public housing complex on North 44th Street is filled with the sounds of children playing, the thump of a basketball on the court, neighbors laughing and talking. Sometimes those everyday sounds are overtaken by the sounds that come at night: a pounding at the door. Gunshots. Screams. A child’s whispered prayer asking for it all to stop. “I would ask for God to stop the shooting,” one little girl wrote in a children’s newsletter for an after-school program in the city. This is part of living in the most dangerous areas of East St. Louis, which statistically has the highest murder rate in the country. Missouri Gov. Mike Parson on Wednesday requested a federal disaster declaration in 13 counties along the Missouri and Mississippi rivers, which will trigger assistance needed after devastating spring flooding. In northwestern Missouri — where Interstate 29 is still closed, towns are submerged and hundreds of acres of farmland are underwater — many residents wondered why the declaration took a month longer than those in Nebraska and Iowa. Backers of the ambitious plan to merge governments in St. Louis and St. Louis County have pointed to the success of Indianapolis, which completed its own merger 50 years ago. Since then, Indianapolis has been a Midwest success story, with a gleaming downtown, a business boom and steady regional population growth. But the success of Indiana's capital was made possible by political maneuvers that allowed Republicans to gain the upper hand in Unigov, Indianapolis' version of merged government. Critics say the city's success largely came at the expense of black residents and Democratic voters. The Grenke Chess Classic, one of the top chess events in the world, is underway in Germany. The tournament runs April 20-29. The event is a round-robin, all-play-all event, with 10 of the best players in the world competing. The most notable competitor is current world champion Magnus Carlsen, who is well-known in St. Louis and a regular participant of the Sinquefield Cup. Soul music fans who turned on the radio in the 1960s and ‘70s were bound to hear a song from the influential group, The Isley Brothers. The world-renowned band has released both ballads and funk anthems that have now shaped generations of music. On Wednesday, Ronald and Ernie Isley joined the likes of Maya Angelou, Stan Musial, Nelly and other St. Louis celebrities with their addition to the St. Louis Walk of Fame. The brothers were honored at a ceremony outside of The Pageant. Missouri Treasurer Scott Fitzpatrick marked his 100th day in office by visiting St. Louis Children’s Hospital Wednesday to promote a savings program for people with disabilities. Gov. Mike Parson appointed Fitzpatrick to become treasurer in January. He succeeded Eric Schmitt, who resigned to become attorney general. A major part of entertainment has long involved the collective watching of various activities on TV networks: late-night comedians, sports championships and glamorous award shows. But with the rising popularity of streaming services such as Netflix, Hulu and Amazon Prime, the pervasiveness of appointment viewing seems to be waning. Among the notable entertainers many have made time to tune in and watch over the years is Jay Leno. The comedian and former “Tonight Show” host said on Wednesday’s St. Louis on the Air that while people aren’t tuning in to their favorite hosts routinely anymore, it isn’t necessarily a bad thing. St. Louis Public Radio reporter Jonathan Ahl will sit down with members of CHARIS to discuss their spring season, community involvement and collaborations.